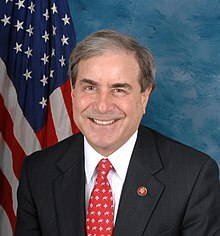 April 7, 2019 - Kentucky Congressman John Yarmuth is taking another run at a bill that would stop new or expanded mountaintop removal coal mining until the Department of Health and Human Services studies its impact on human health. The Appalachian Communities Health Emergency Act has been introduced in each of the previous four Congresses, but its supporters feel more optimistic about it this time because Democrats control the House. The bill’s cosponsors include Reps. Alexandria Ocasio-Cortez (D-N.Y.), Adam Schiff (D-Calif.), and Raul Grijalva (D-Ariz.). “Our goal is to pass this bill out of this House, and then let it go over to the Senate and compel [Senate Majority Leader] Mitch McConnell [R-Ky.] to act,” said Bob Kincaid, co-founder of the Appalachian Community Health Emergency advocacy group and a progressive radio host in West Virginia. Put McConnell on the Hotseat? Because McConnell represents coal communities in Kentucky, the bill’s advocates think he could be persuaded or shamed into supporting the measure. “We want to compel Mitch McConnell to answer for why he will not speak up for his own constituents who are being killed by his political donors,” Kincaid said. “The federal government should not be approving mining permits until it can truthfully say to local residents that their health will not be jeopardized and their lives will not be put at risk,” Yarmuth said in a statement. 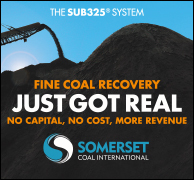 Coal companies have questioned how much surface mining is to blame for poor health among the residents of nearby communities. Mountaintop mining accounts for only 0.4 percent of total U.S. coal production, so Yarmuth’s bill “appears to be an attempt to significantly impair all surface coal mining in Kentucky, Tennessee, West Virginia, and Virginia,” said Ashley Burke, a spokeswoman for the National Mining Association. Moreover, the bill’s definition of mountaintop mining “could be applied to most surface coal mining operations in the country,” even though the federal Surface Mining Control and Reclamation Act has a narrower definition of what constitutes mountaintop mining, Burke said. Yarmuth’s bill would only apply to new coal permits or expansions of existing permits. 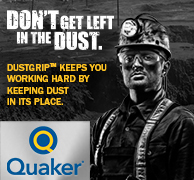 It wouldn’t apply to existing coal mining operations. According to the legislation, peer-reviewed scientific studies have raised concerns about elevated risk of birth defects as a result of mountaintop mining, and it also is associated with higher levels of lung cancer, heart disease and other illnesses. Under the Trump administration, the Interior Department in 2017 halted a National Academy of Sciences study into the health effects of mining in Appalachia. 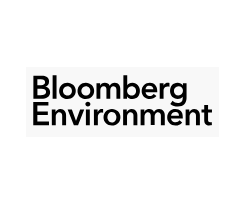 Interior said the decision was part of a broader stoppage of certain grant projects, but other studies with the same funding criteria weren’t spiked, a National Academy of Sciences spokeswoman told Bloomberg Environment at the time. Yarmuth’s bill was introduced April 4 and will be discussed at a hearing of the House Natural Resources subcommittee on energy and mineral resources April 9.